LOST Filming at Bishop Museum Like Now! The pulpy family called in to report the filming of LOST at the Bishop Museum. Amongst the kids exploring Hawaiiana and the scientific wonders of a volcano, Henry Ian Cusick aka Desmond was spotted on set which was decked out like a wedding. So perhaps Penny is on island too? Since the crew is working and on the clock, I won’t be surprised if we’d be dissed by Desmond again. Anyone at the Halekulani to see if Sonya Walger was there for brunch? Now that Fast Forward is on hiatus, she has some LOST time to spare. 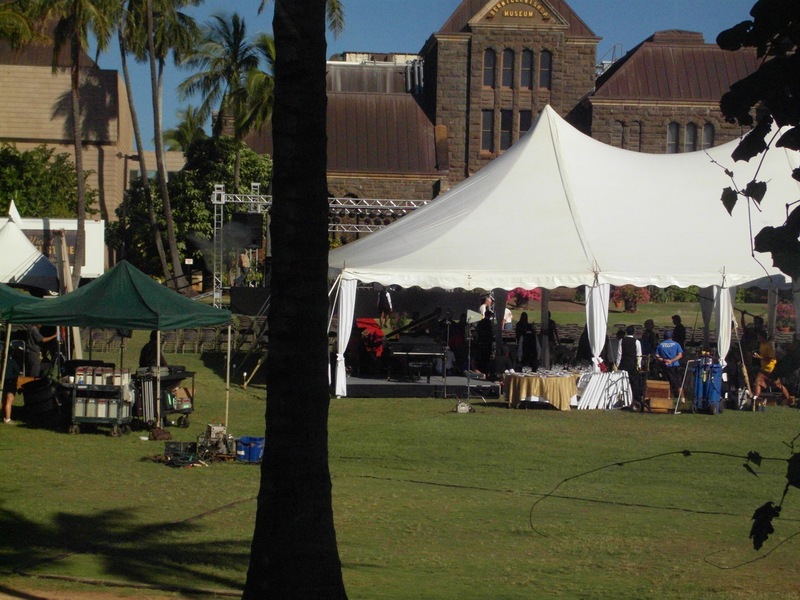 Update: I am so lost on the lawn with this LOST sighting.Â As usual, the Hawaii Blog has the bestest and accuratest info about what went down.Â Twasn’t Desmond there for his nuptials but for the nuptials of Ms. Hawking. Update 2: the Hawaii Blog has more information about this scene which isn’t a wedding after all.